Another from Rhys whose works you can see at http://orielodl.com They make a statement in Welsh about songs and poetry. Quite large compared with his regular offerings. This one about 1000x700mm. Black flat 75mm pine. 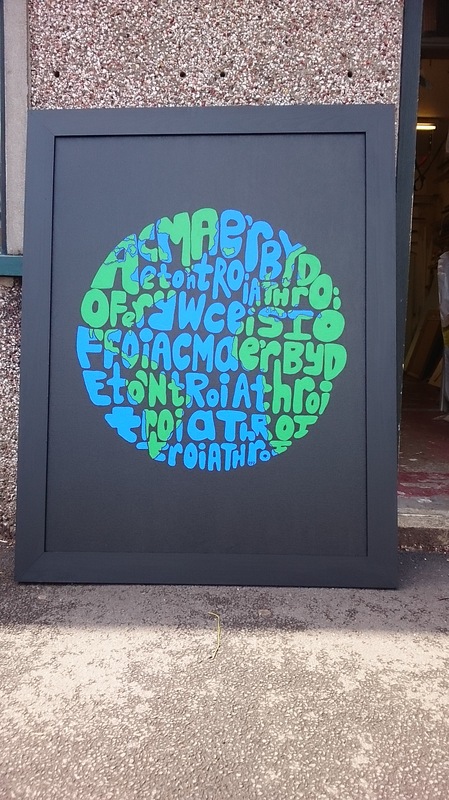 This entry was posted in ART, Picture Framing, Welsh language and tagged Welsh language. Bookmark the permalink.